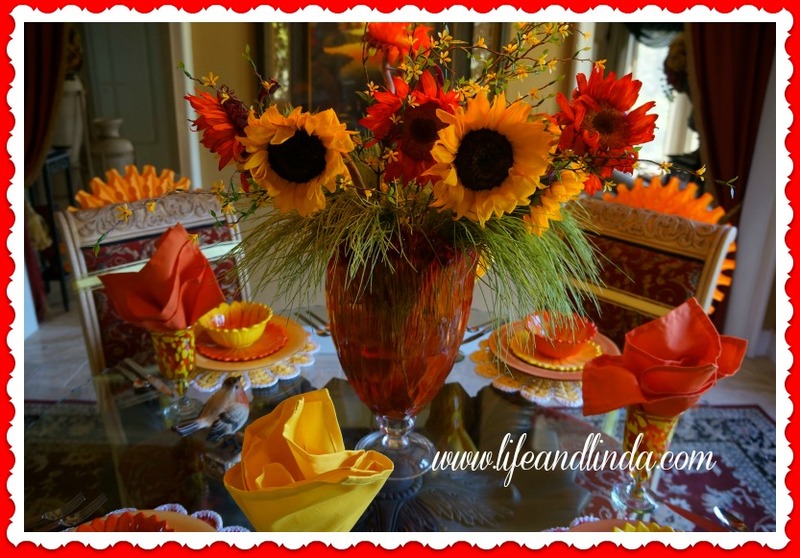 Home / orange and yellow / scalloped edges / Sunflowers / tablescape / Don't you Love Sunflowers? Sunflowers are beautiful....They remind of summer.....So cheerful and colorful. I got the dishes at Safeway on sale. 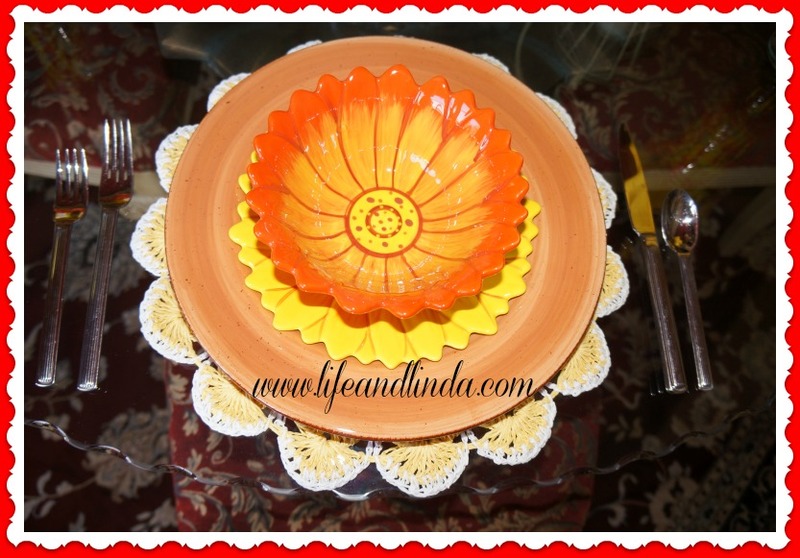 The cute little sunflower salad plates are so fun and the bowls add some pop. I love their edges. I kept waiting for them to go on sale....yea! Finally. Be sure to visit her blog and check out her fabulous recipes. I love these glasses...They are quite colorful. They are blown glass. 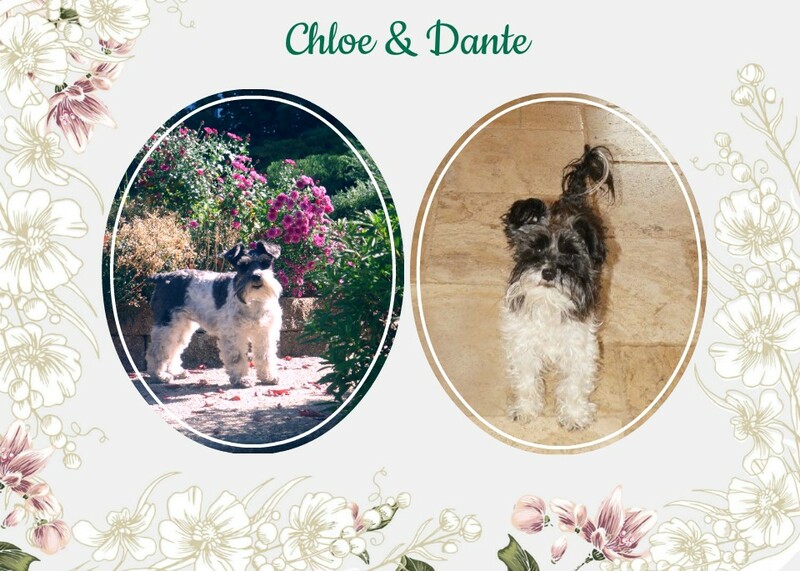 Please visit this fabulous site and check out all of the artisan's work. In case you haven't heard, Novica is associated with National Geographic and provides artists and artisans around the world a global platform to express their true artistic talents and to spur their creativity. 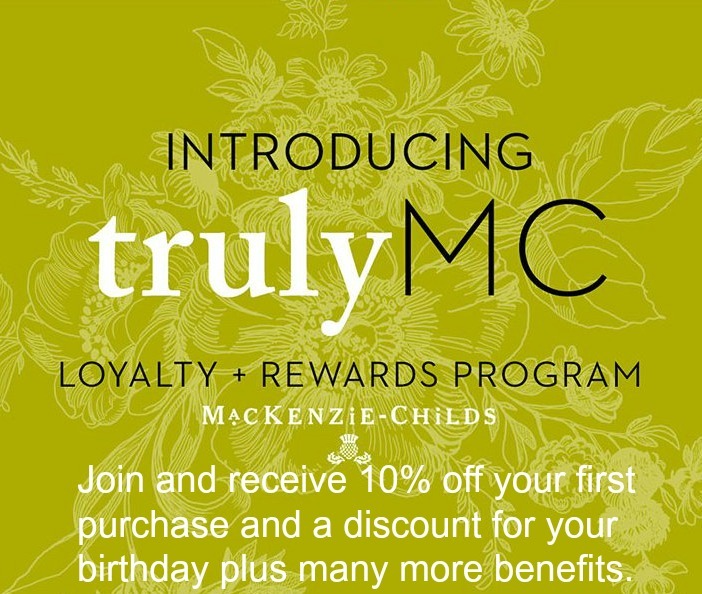 And, we want to provide you with access to unique, hard-to-find items at great values that only the Internet infrastructure can allow. 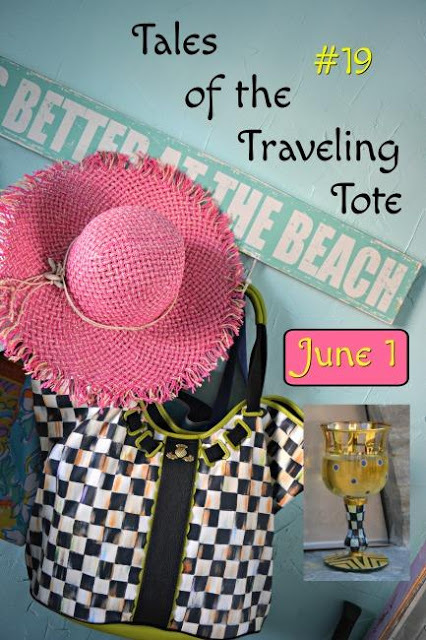 Nancy's Daily Dish is having a Giveaway from Novica right now. So, hop on over and enter. 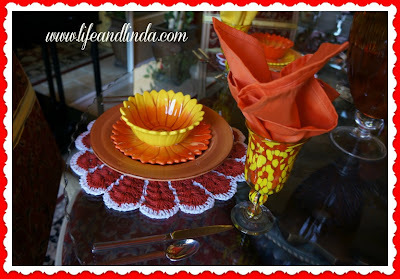 The napkins are from Home Goods, along with orange and yellow tall vase. I used my colorful paper flowers, left over from the wedding for some added interest. The placemats are from Ross. Thank all of you for taking time out of your day to visit me and leave a comment. As always your tabletop is just gorgeous. I love bright colors. The glasses you won in the giveaway go so well with everything! Off to visit Novica now!! 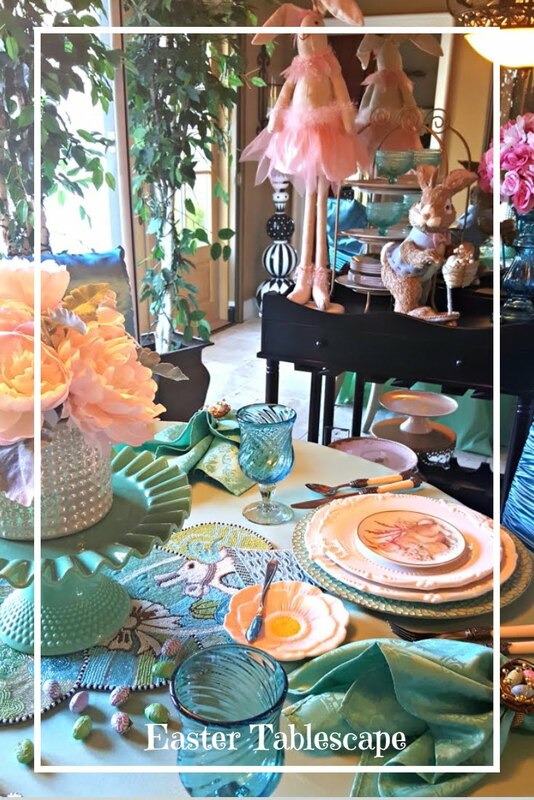 Such a lovely tablescape! I love how the colors in the dishes work together with the flowers. Lucky to get them on sale! 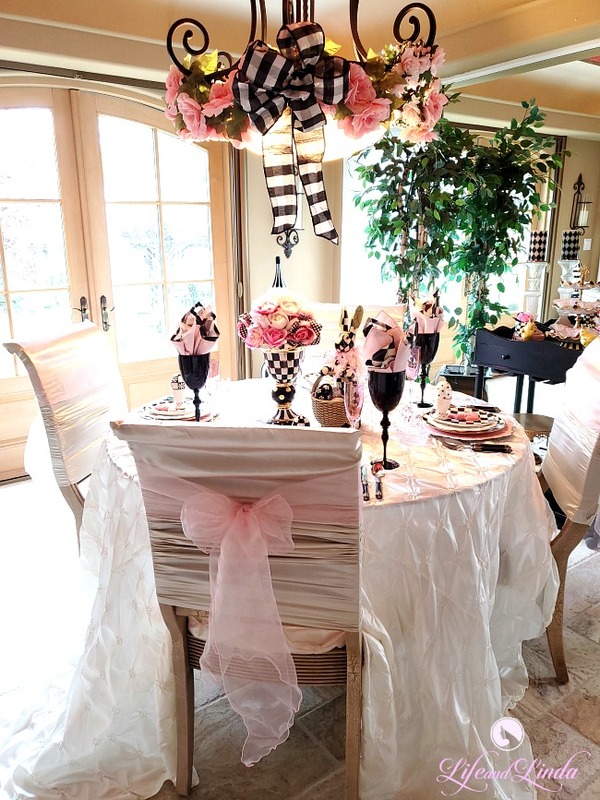 Thanks for sharing your tablescape……..
How cute. August and Sunflowers...this just works. This is such a pretty table! It's so colorful & cheerful with the sunflowers. Your glasses are beautiful! I love this table Linda, so pretty, fresh and the colors are so summery! You won great glasses, just perfect for this table. Thank you for sharing. So pretty and cheerful! I love those plates, and the glasses you won look wonderful! I'm seeing a lot of sunflowers this week, but I never tire of them! Linda, these colors are so pretty! What a wonderful setting! Truly, a beautiful tablescape. Just beautiful!!! I love Safeway! We no longer have any in our area but I miss them still!! Oh, this is a cheerful, fun scape. Love sunflowers, your beautiful dishes, and those new glasses. 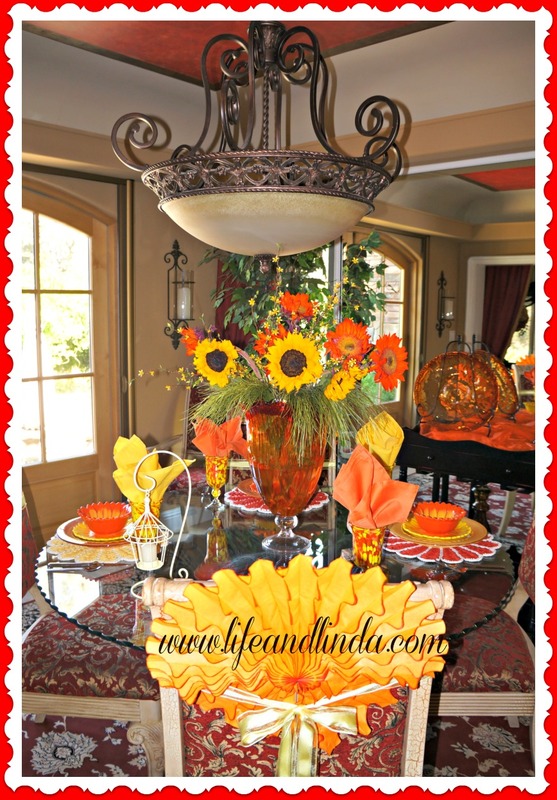 I love the entire sunflower, yellow and orange theme. Such a bright and cheery set! I've never met a sunflower that I didn't love! I frequent the farmers markets just to buy the sunflowers, and maybe a few vegetables ;o) You have a lovely breakfast room. Hi Linda, sunflowers are my absolute favorites! Yours are beautiful. 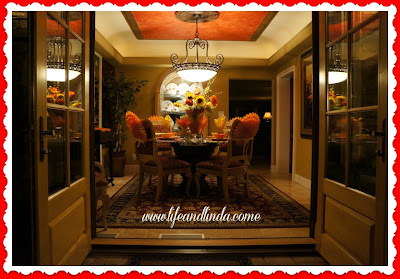 Your whole table setting just screams "Linda", because it is sooo beautiful like all other vignettes that you put together. Wow if that doesn't put a person in a good mood I don't know what can! I love sunflowers- they are such a happy flower! The orange mixed in really gives it that summer punch! Those are neat placemats too. Love the stemware that you won! Lucky you! Love the sunflower dishes! Hi Linda...I saw that you started following me, and so I popped over to visit you. What a great blog! I am now following you too! You have a beautiful home. I like your design style. 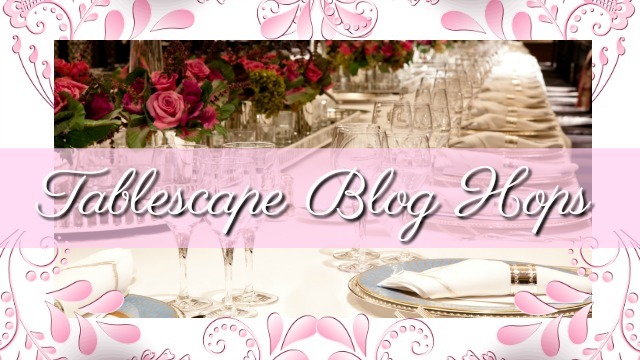 I love to decorate too...and I enjoy blogs with decorating ideas, and pretty rooms to look at. I can't believe you are a great-grandma! No way! I am Grandma to 11 here on earth and 3 in heaven...and our youngest grandson is 5 and the oldest is 22 next month! I guess in a few years I could be a great-grandma too. Looks like you enjoy cooking too, as I see you post recipes. So glad we have met here in blogland! Have a delightful day Linda! Sunflowers are great with this beautiful glass vase! The colors of orange and yellow create a sunny summer feel. The new goblets are so pretty and are perfect with the plates and bowls. We have Tom Thumb, part of Safeway, and I love their flowers and vases and china. Pretty setting for your tablescape! 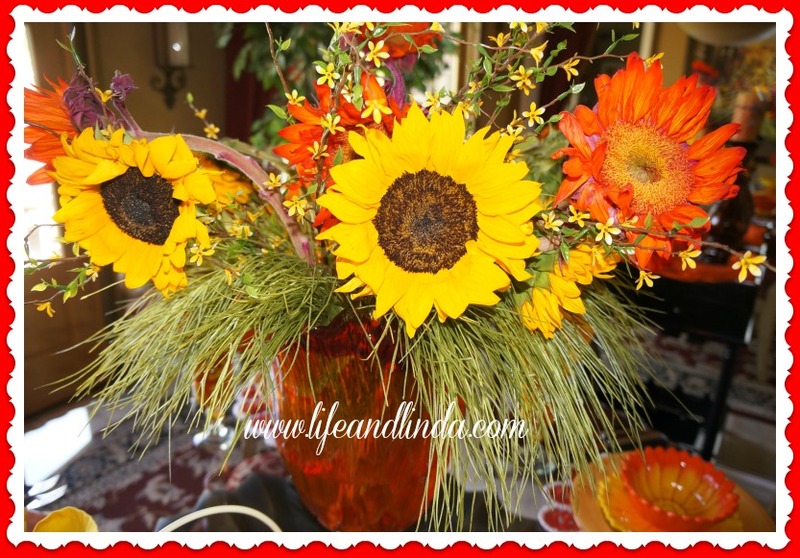 Sunflowers always lend a note of cheer! LOVE your stuff! The colors are so vibrant. Makes one's heart sing to see the sunflowers and all the colorful thngs around it. What a beautiful tablescape. Your home is amazing. I love sunflowers too. Mine are just starting to bloom in the garden. I hope to post some photos soon. Thank you for visiting My Cozy Corner and becoming a follower. I hope you enjoy visiting again. 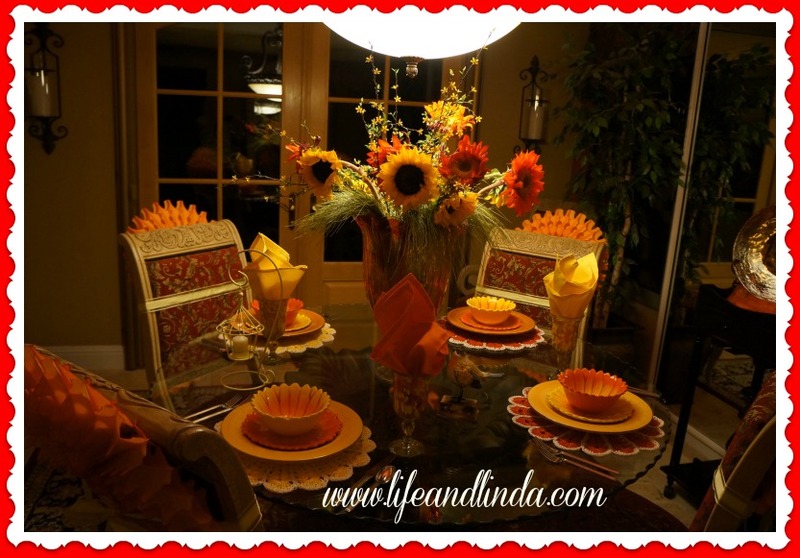 Linda, you certainly have put together a colorful tablescape that you'll be able to enjoy well into Fall. I passed a whole field of sunflowers the other day. I had my camera but I couldn't get close enough to get good pictures. Thanks for leaving the sweet comment on my Summer Garden post. 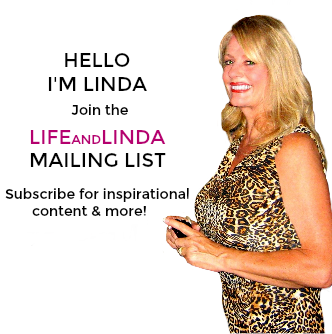 Hi Linda, I had to take another look at your beautiful sunflowers and am your newest follower! Oh, my gosh....that stemware is bee-yoo-tee-ful! It's just gorgeous! It reminds me of the 1960s, and still it has a very contemporary look about it. Of course, I love the orange and yellow combo! 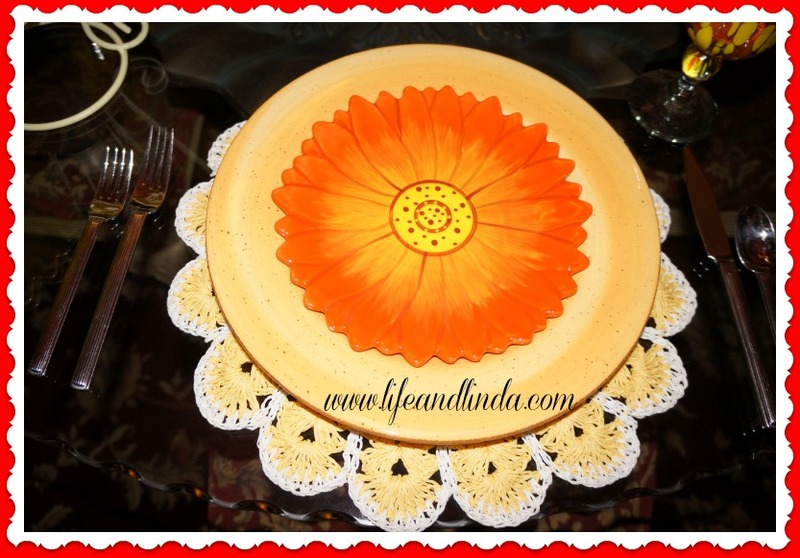 They work perfectly with the dishes and florals you have assembled!!! Good thing you were able to wait those plates out to get them on sale! I like how you alternated the yellow and orange. Great recycling of the paper wedding flowers, too! 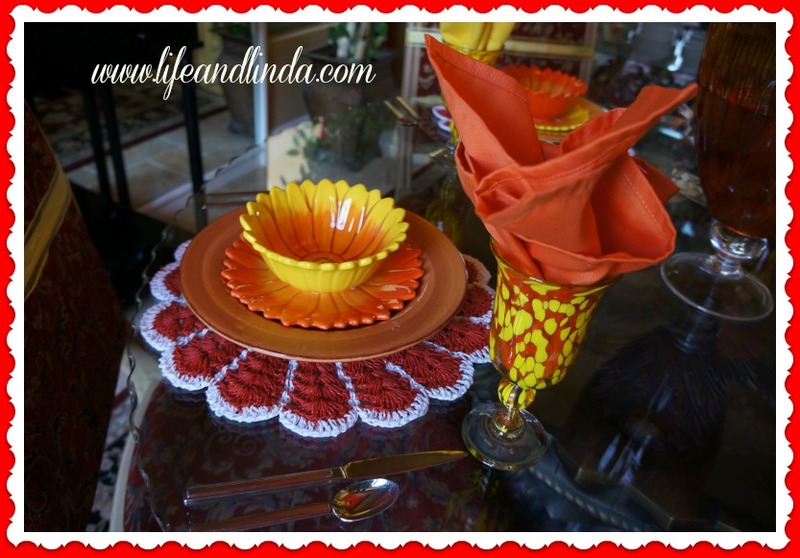 Love the plates, all of your table is beautiful, love the vibrant colors you are using. Centerpiece is right on with your theme. Thanks. I love the wonderful color combination here! The glasses look like they were made for the dishes. How lucky to get such a find at Safeway! Very pretty. Hi Linda! The sunflower settings are absolutely breathtaking! Those Novica glasses bring it together beautifully! Maybe I should enter the giveaway! Blessings from Bama! 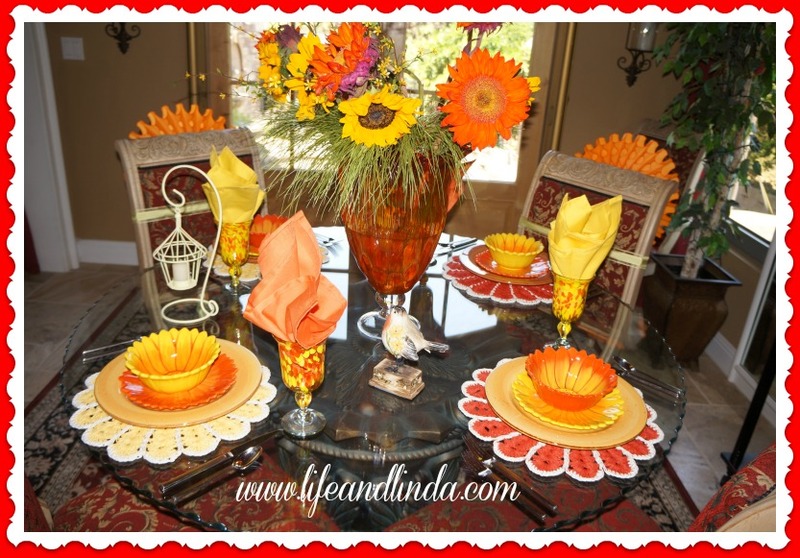 Your tablescape is charming, Linda! I adore your new glassware! Thank you for sharing at Potpourri Friday! 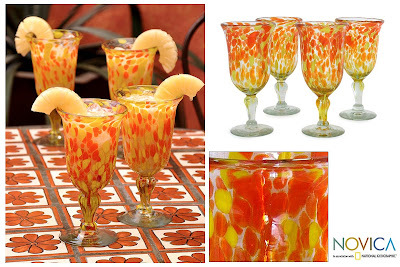 What a fun summer table...the glassware is gorgeous...they would be great for Halloween (candy corn colors), too! What a bright table! The colors are wonderful! Pretty dishes and the glassware is amazing! Oh yes, I love sunflowers too! I plant some every year. 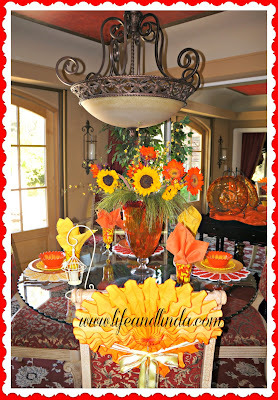 And wow, your breakfast room is just so bright and cheerful done up in the oranges & yellows & sunflowers! I adore the way it looks! What. fun, sunny and very summery tablescape Linda. I love it. Can't believe there is one more month left of summer, boy is it going by fast. Hope you are having a wonderful summer. I love sunflowers too. Your table setting is pretty, and those glasses are very unique. I wish you were here helping me this weekend. I am giving Nel a wedding shower, and I could sure use all your creative ideas.